This is the third time I have seen this absolute genius of a play by Nobel Laureate Irish writer Samuel Beckett, but this performance will stay with me in a much more profound way than the other two. Why? Maybe it’s because of where I am in my life and recent experiences which have at the same time scarred and emboldened me. I have no idea what that means either. 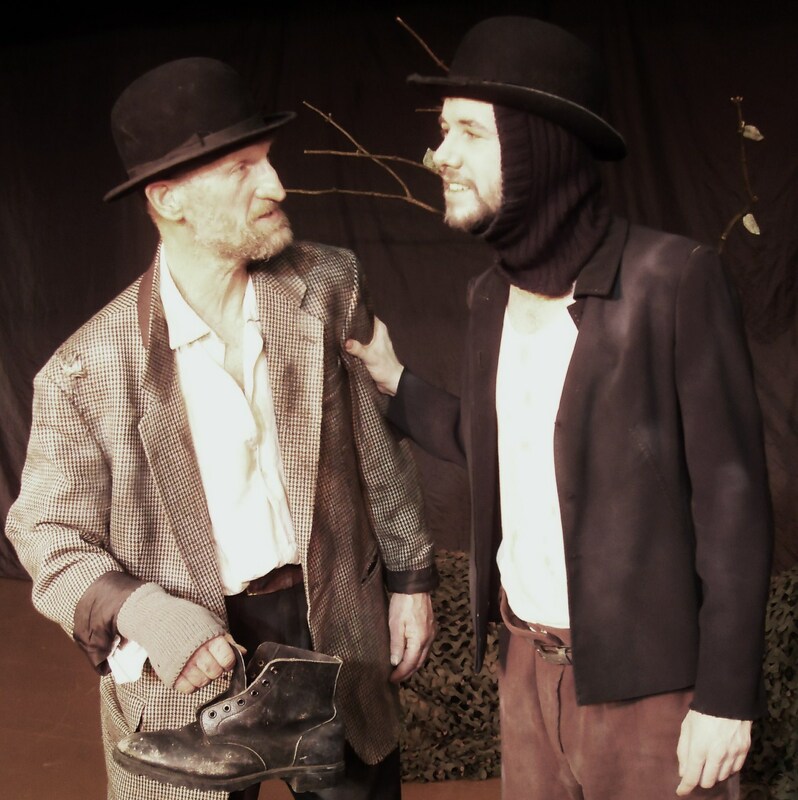 There are many and varied interpretations of this play abroad, and infuriatingly Beckett himself was notoriously vague as to why two tramps are doing hanging around waiting in a nameless place which is in a seemingly timeless vacuum for a notional figure whom they appear not to really know. My take on it was that Didi and Gogo are in purgatory, and that Godot and the waiting business are an allegory for getting into heaven, but having witnessed last night’s stupendously intense performance from the Other Lives Touring Company (who have restored my faith in Hull Truck to fulfil it role as a proper local rep theatre) I feel that this wonderful play is pure existential reflection. There is no story. We are party to the innermost thoughts and feelings of the two main protagonists as they spend time arguing, making up, reminiscing, fantasising, playing games, doing silly things with hats and chillingly, contemplating and planning suicide. Then Pozzo and Lucky appear, and their characters are there to put into context the philosophical ramblings of our two narrators who are never off stage. The more I watched, the more enthralled I became and I felt the emotion of the matters being contemplated in a physical, visceral way. Shock, inner silence, numbness, laughter and sadness all combine in a truly magnificent performance of a punishing yet ever more necessary play for these harsh times.